On February 1, 2003, the space shuttle Columbia disintegrated 200,000 feet above east Texas during re-entry from a sixteen-day mission. More than 25,000 people were involved in the three-month search for the remains of her crew and debris from the shuttle. It was the largest land-based search and recovery operation in history. Remarkably, the remains of all of Columbia‘s crew members were found and returned to their families. In addition, 38% of the shuttle—nearly 85,000 pounds of material—was retrieved as a result of a painstaking search of every square foot of an area equal in size to the state of Delaware. Columbia‘s reconstruction at Kennedy Space Center, and the analysis of its data recorder, enabled NASA to determine the cause of the accident and successfully return space shuttles to flight. The mission of this website is to celebrate American cooperation, commitment, and compassion in the remarkable effort to bring Columbia and her crew home one last time. 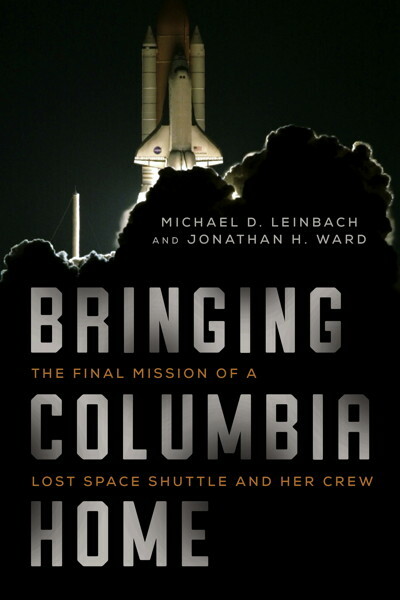 Bringing Columbia Home is part of a project begun by Mike Leinbach and Jonathan Ward in 2015. Our vision is to celebrate the amazing work done by NASA, FEMA, the FBI, the US and Texas Forest Services, dozens of other federal, state, and local agencies, and thousands of private citizens—people from every walk of life who made it their mission to bring the space shuttle Columbia and her crew home one last time. The project includes this website, a Facebook community, and this blog. The book, tentatively titled Bringing Columbia Home: The Final and Continuing Mission of a Lost Space Shuttle and Her Crew, is scheduled for release by Skyhorse Publishing in January 2018. We are deeply indebted to the more than 100 participants in Columbia‘s recovery and reconstruction who have shared with us their remembrances, journals, photos, and other records of their part in this historic endeavor. We look forward to hearing many more stories from our readers as this project progresses. Mike Leinbach was the final Shuttle Launch Director at NASA’s John F. Kennedy Space Center (KSC), Florida. He was responsible for overall Shuttle launch countdown policy, planning, and execution activities in the last eleven years of the program. Mike joined NASA in 1984 and quickly ascended through the engineering and leadership ranks, becoming Launch Director in August 2000. He led the Launch Team for all Shuttle missions from then to the end of the program in 2011, serving as the person to give the final “Go!” for launch. Mike led KSC’s forces in the initial Columbia debris recovery effort in Texas and Louisiana in February 2003. Shortly thereafter, he led the Columbia Reconstruction Team to determine the cause of the accident from the debris collected and reassembled at KSC. He was the driving force behind the Columbia Preservation Team and the plan to lend debris to academia to develop better and safer spacecraft in the future. His many service awards include the Presidential Rank Award, NASA’s Exceptional Service Medal, and NASA’s Medal for Outstanding Leadership. Mike retired from NASA in 2011. Mike leads the exciting new Launch Director Tour at Kennedy Space Center’s visitor complex. Participants in the tour have a unique opportunity to visit KSC’s mammoth facilities and hear first-hand about the risks and rewards of the Space Shuttle Program from the man who led NASA’s launch team. Jonathan Ward is an author of spaceflight histories. Jonathan loves stories of unsung heroes—everyday individuals who rise to meet an inspiring challenge and accomplish extraordinary results. Jonathan’s love for the space program stretches from his earliest childhood, to serving as a summer tour guide at the National Air & Space Museum during the Apollo missions, to a stint as a contracts manager with Boeing on the Space Station Freedom Program. Jonathan currently volunteers as a NASA Solar System Ambassador, speaking frequently to a wide variety of audiences on topics related to manned and unmanned spaceflight. He has presented at local, regional, and international conferences such as Spacefest. Jonathan is also an executive coach at the Center for Creative Leadership in Greensboro, North Carolina. 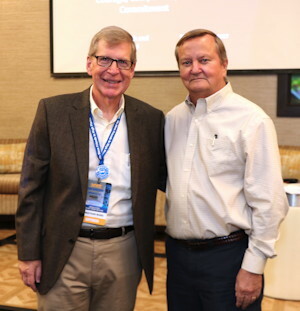 Critics have praised Jonathan’s 2015 books, Rocket Ranch and Countdown to a Moon Launch, as enjoyable to read and valuable resources on the inner workings of Kennedy Space Center and the incredible people who prepared Apollo missions for launch. Please visit Jonathan’s amazon.com author page to learn more.